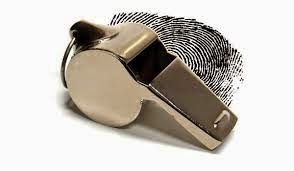 The government swears it protects whistleblowers but the efforts it makes undermines its assertions. Telling people the government is targeting them for reasons it doesn't seem to be able to put into words is called a "criminal act." But here's the most surprising fact from Evanina's profile. This looks like the proper response to someone like Snowden. Handing out too many security clearances undermines security. But it's more than that: it's a consolidation of power. By stripping 100,000 people of their clearances, the government eliminates 100,000 potential whistleblowers. With fewer eyes watching surveillance programs, odds of abuse multiply. Someone has to watch the watchers and sometimes that someone is nothing more than a government contractor.